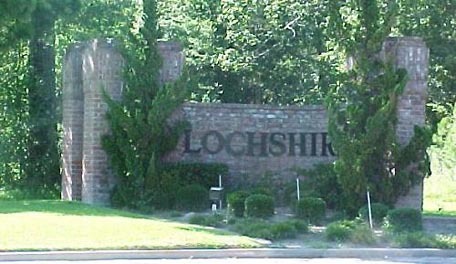 Located in Huffman just off of FM 2100 is a quiet community called Lochshire. The community was established in 1973 and consists of 152 large tree covered lots and 85 beautiful homes. The families who live in Lochshire enjoy peaceful country living while still close enough to restaurants, stores, and good schools that they don’t even miss the big city life. The Board of Directors consists of three dedicated longtime residents, all of whom have worn many hats as board members and volunteers over the years. In fact two members of the board members have served on the board for over 35 years and are part of the original Board of Directors! They are Sumpter Frazier, the current Board President and Bruce Meyer, the current Board Vice President. Then they have the new guy to the community, Donald Miller the current Board Secretary/Treasurer; he’s only been in the community for 20+ years. These gentlemen will roll up their sleeves and pitch in to do anything that needs to be done in the community. This is a good thing since the board handles all of the maintenance issues within the community. This board along with longtime resident and Architectural Committee Chair, Henry (Buddy) Townsend, are currently screening contractors to remodel their monument. When this project is complete the residents will have a monument at the entrance to the community to be proud of for many years to come. The board diligently strives to maintain the property values of a community of this age through strong, consistent deed restriction and collections enforcement. However, the Board is always willing to listen to and work with property owners having difficulties meeting the community standards. C.I.A. Services is proud to have partnered with Lochshire Maintenance Fund for over 23 years as their management company. We look forward to serving this wonderful community for many more years to come.